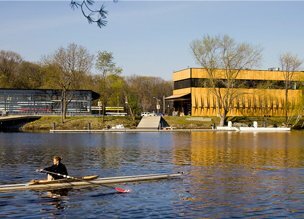 The Community Rowing Boathouse has won the 2014 AIA Honor Award for Architecture. As part of the Anmahian Winton Architects design team Childs Engineering was responsible for the all the waterfront structural design and oversight. The awards jury considered the project “beautiful not just in aesthetics, but also in operability,” noting its clear conceptual strategy and the kinetic cladding system that dramatically animates the building skin.